A novel with good intentions that doesn’t quite deliver. Emma Putnam is dead, and it’s all Sara Wharton’s fault. At least, that’s what everyone seems to think. Sara, along with her best friend and three other classmates, has been criminally charged for the bullying and harassment that led to Emma’s shocking suicide. Now Sara is the one who’s ostracised, already guilty according to her peers, the community, and the media. In the summer before her senior year, in between meetings with lawyers and a court-recommended therapist, Sara is forced to reflect on the events that brought her to this moment – and ultimately consider her own role in an undeniable tragedy. And she’ll have to find a way to move forward, even when it feels like her own life is over. This is actually a really difficult book to review. I’m struggling to decide whether I liked it or not, not just because it deals with delicate subjects that I’m unsure were handled well, but also because I didn’t get absorbed with the characters or storyline completely. So I guess I didn’t like it all that much, did I? It’s certainly an interesting idea. A story about bullying from the point of view of the bully. But I’m not sure it did the job it set out to do (or at least, I think it should have set out to do). I’m a bit confused about the message and I feel like there should have been more of a distinct moral to the story, to show that bullying should not be tolerated by anyone, no matter what. Of course, the fact that Emma is dead as a result of Sara and her friends’ actions shows that bullying can have devastating results, but Sara’s lack of remorse combined with the idea that Brielle (who is just as guilty as Sara, if not more so) has more or less gotten away with the whole thing with little impact on her happiness, almost makes the situation seem less serious and more forgiveable than it should be. Plus, the entire way through, I really disliked pretty much every character in this book apart from Carmichael. I think that’s the point, but it’s really difficult to get through a book when you’re feeling so much hate the whole time. My only hope was that I’d grow to like Sara as she came to realise the full weight of what she’d done and began to turn her life around. Except that didn’t really happen, did it? Amanda Maciel certainly did a good job of making sure the reader didn’t sympathise with the bullies, though, which can’t have been an easy feat when the bully is the narrator of the entire novel. Overall, I’m torn about whether or not to recommend this novel. It’s brave and unusual, and certainly unlike anything I’ve read before, and could spark some excellent discussions in schools, but I’d be worried about letting younger readers with palpable minds get their hands on this one, as I’m just not sure it’s got the anti-bullying message quite right. You might like Tease, if you enjoyed one of the following. 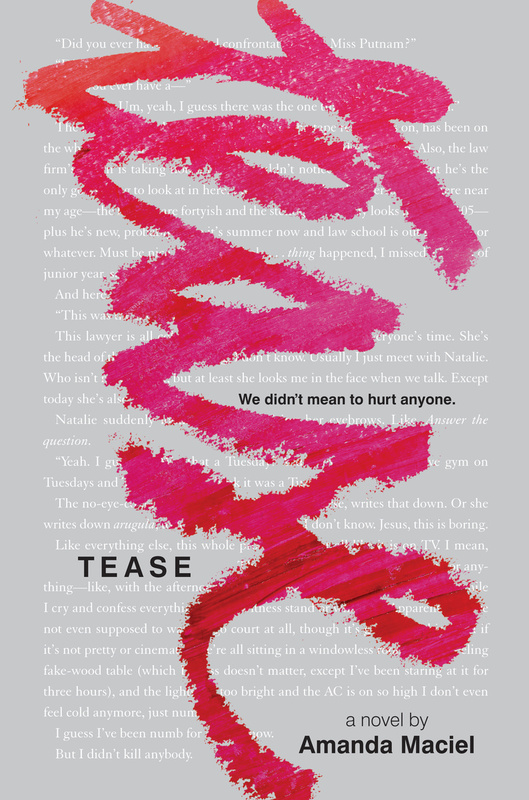 Alternatively, if you’ve read Tease and enjoyed it, here are some recommendations for your TBR list.